This is the chocolate cake recipe which kick started my life long love affair with baking. I used to make it as a child and through my early teenage years. I knew the recipe off by heart. I stumbled across it in one of my mom’s old hand written recipe books and its recorded as ‘Wonder Cake’. I couldn’t wait to dive into my kitchen and make it again. There is something really special about revisiting a recipe that you knew so well. In a way it was a little like discovering a much loved childhood toy. I looked at it and remember all the components, but now approaching it with a good deal more life and experience under my belt. I was super eager to taste it. I needed to make a few minor modifications. Margarine was replaced with butter (obviously) and vanilla essence with extract (of course). I also tested the metric measurements to give an alternative, but I kept the method exactly the same. Cooks notes ~ I love to add espresso powder – diluted before – to my chocolate buttercream as it amplifies the flavour of the chocolate. You can use a teaspoon of strong instant coffee if you don’t have it. I use a really good quality Valrhona chocolate with 70% chocolate solids that melts very quickly. Using an electric mixer cream the butter and sugar until pale. Add the egg yolks one at a time ensuring they are well mixed before the next addition. Add the cooled cocoa mixture and beat. Sift the flour and baking powder and add this to the cake mix alternating with the milk. Beat briefly. Beat the egg whites until stiff and lastly fold these into the cake mix by hand. Divide the mixture between to 20 – 23cm greased / lined cake tins and bake for 25 – 30 minutes until springy to the touch. Allow to cool and then remove from the. Melt the chocolate in a double boiler and then allow to cool. Dissolve the coffee in the milk and Beat this with the butter, icing sugar, and vanilla extract. Add the cooled melted chocolate and continue to beat until the icing is soft and fluffy. Ice the cake by generously spreading a layer of frosting in the middle, top and sides. The cake turned out very well. 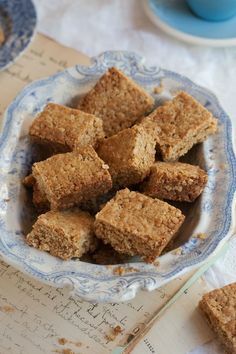 The sponge is perfectly light and moist and it really is a lovely recipe. It’s not the darkest or most decadent, but the frosting makes up for that giving it a sophisticated edge. And while I am on the topic of finding old family recipes, I heard about a fabulous competition Laborie Wines is running for Mothers Day. Upload your favourite recipe from your mom or grandmother and executive Chef Matthew Gordon will be choosing 20 of his favourite entries. Each winner will receive a bottle of Elizabeth Arden perfume, an Eight Hour® Cream Skin Protectant and a bottle from the Laborie range that Matthew Gordon has paired with the respective dish. Click on over to their Facebook page to log your entry. I love cakes that have stories and history woven into their measurements. This looks beautiful and delicious, thanks for sharing. Stunning, the perfect chocolate cake! Food memories are the best kind! Such a marvelous chocolate cake and irresistible story! moist cake and frosting to die for. This looks delicious will have to try.Just wondered this looks a bit on the dry side. Hi Vicki it is not dry at all. Not extremely chocolatey (its a mild chocolate sponge) so perhaps your Hersheys black cocoa would work well, or you could add more? The beaten egg white gives the cake a lovely texture.Must say I would love the recipe on the Hersheys box? (we dont get that product here in South Africa). I add 1 good cup of lightly toasted walnuts as my husband loves nuts in any baked goods. 3. Bake 30 to 35 minutes or until wooden pick inserted in center comes out clean. Cool 10 minutes; remove from pans to wire racks. Cool completely. Frost with “PERFECTLY CHOCOLATE” CHOCOLATE FROSTING. 10 to 12 servings. VARIATIONS: ONE-PAN CAKE: Grease and flour 13x9x2-inch baking pan. Heat oven to 350° F. Pour batter into prepared pan. Bake 35 to 40 minutes. Cool completely. Frost. What an absolutely beautiful cake. Exactly how I like cake. Your pictures are truly amazing and I’ve seen many of them via my wife. Hoping I can nudge her to make this one for us once the baby comes. Thanks!